So here's Blue and Guardian's look in the Boom! 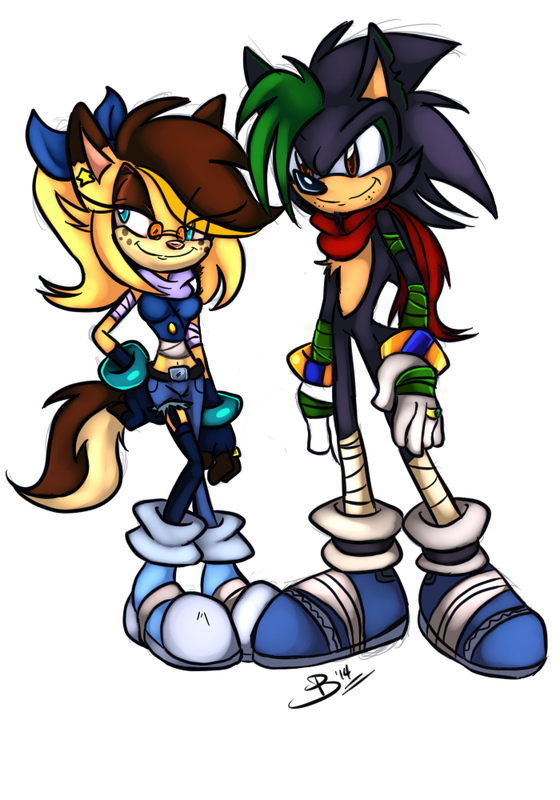 Universe...in this version they're a married couple who live in the forest area known as "The Pit"
Blue use to be a bounty hunter but quit her job after she met Guardian and now she usually ventures around with him searching for treasure and artifacts. During their spare time, they'll fight Eggman's robots that wander about and either sell the parts or Guardian builds something out of them.